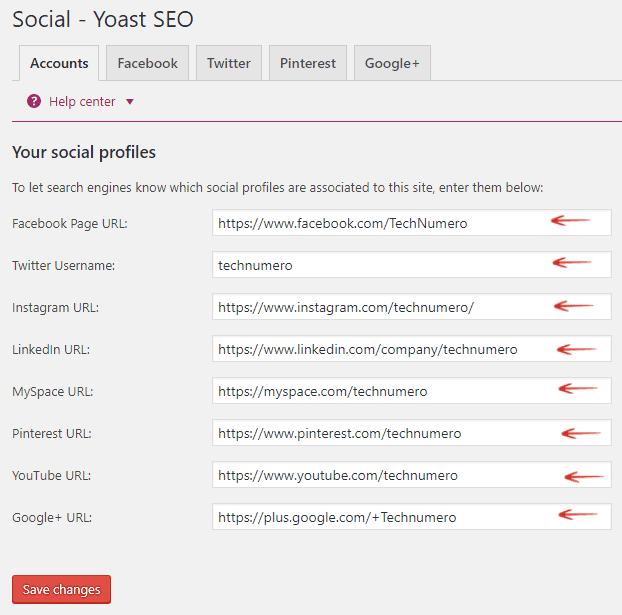 In this article, I will discuss the Best Yoast WordPress SEO Plugin Settings to get higher ranking in search results. Using these settings, you can easily secure the place on first or second page in Google search results for your keywords. It would be overstated to say that you will manage to get position on page one or two in search results for all of your keywords with these settings. But yes, you can get that for your correctly optimize content and articles. Well, we all know that good Search engine optimization (SEO) is extremely important for a website to be successful. And if I am not wrong WordPress SEO by Yoast plugin has become most popular SEO plugin among WordPress users. Because this plugin is packed with so many amazingly effective and good features needed for WordPress SEO. Of course there are so many settings, you too will admit that, if you are already using the plugin. And in case if you have not used it before, once you download and activate the plugin you can see that yourself. Are Default Settings Good to Go? By default, all the plugin settings come with default values. So the point is – Is this default configuration the best for your WordPress website? Can you get place on first or second page in SERPs (search engine result pages) with default settings? Well, I won’t answer plain ‘yes’ to that. Because some setting fields in the plugin are either blank or set to default values, which you should consider to change to get better SEO results. 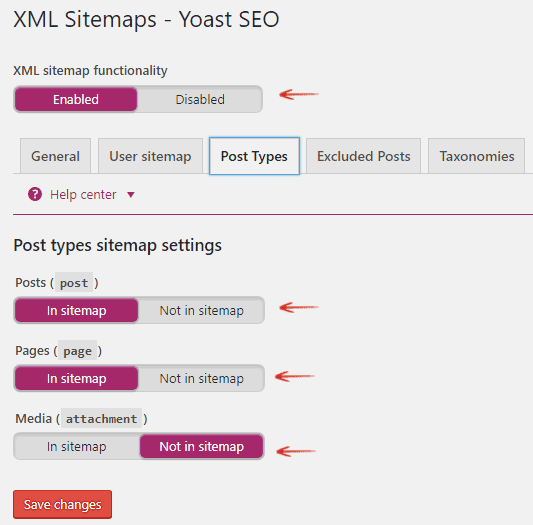 In following paragraphs, I will try to cover all necessary details for all main settings and their sub settings of Yoast WordPress SEO plugin. In some cases, I will share even very basic and simple information too. Because I want to make it a complete guide for beginners who are starting it from scratch and for advanced users as well. So be patient and bear with me. Of course, you can jump to the next paragraph if found something, you are already good at. 1. Go to WordPress Dashboard > Plugins > Add New. 2. 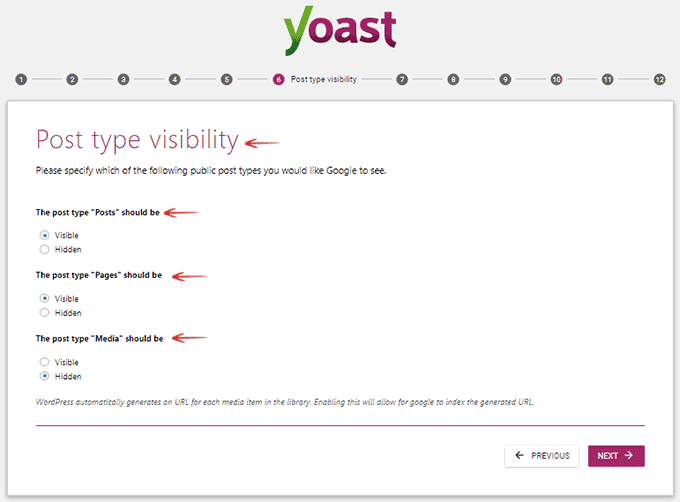 In the plugin bar type Yoast SEO and hit enter. 3. 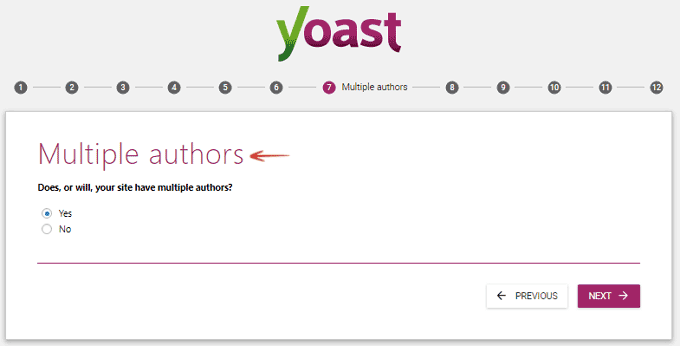 In the search results see plugin named Yoast SEO by Team Yoast. 4. Click Install Now, installing will start and take a while to complete. 5. Up on completion, you will see Activate button. Hit Activate, it will take another few seconds and you’re ready to bang! Still, have queries about installing WordPress plugins, read this detailed guide: 3 Different Methods to Install WordPress plugins. 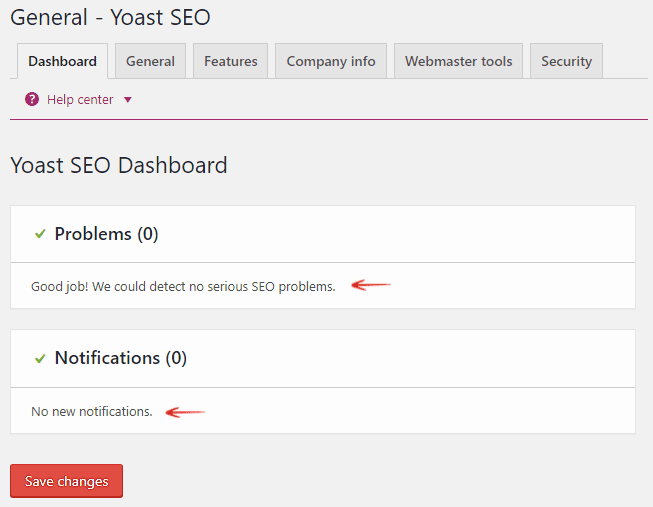 Here you can find those important problems and notifications (related to Yoast SEO or SEO in general) which require your attention. You can start configuration wizard by clicking the button Open the configuration wizard. This Configuration wizard will take you through following settings. 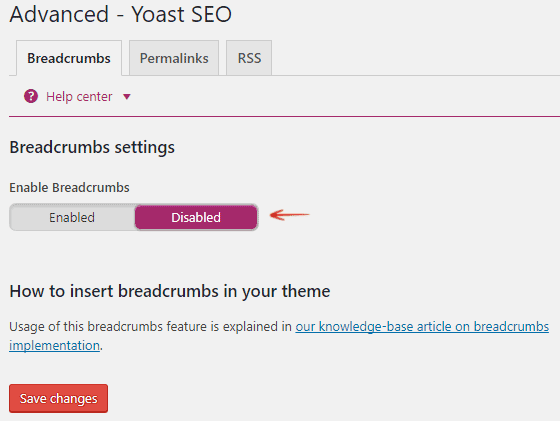 Click Configure Yoast SEO button to move forward. 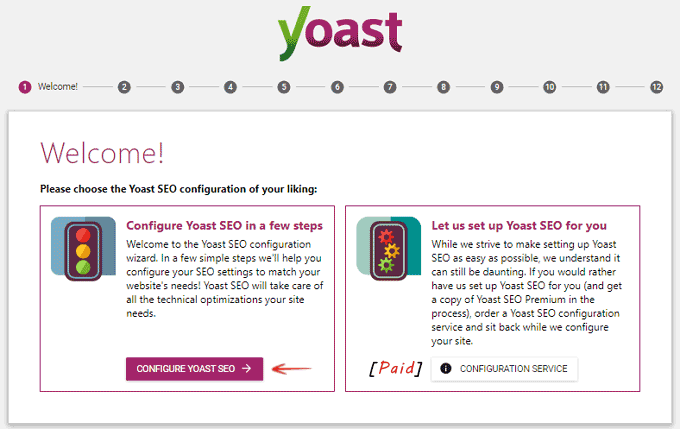 Yoast also offers Paid Configuration Service for the plugin. Choose one which is relevant to you. On this screen, you can select the website is for company or person. Accordingly, you need to enter name of person or company along with the image of company logo. Here you can add social profiles (like Facebook page, Twitter Username, Instagram, LinkedIn, Pinterest, YouTube, and Google+ etc.) of your site. Here you can specify which type of posts are to be visible for search engines like Google. By default, post and pages are visible, which quite fine. Because if the site is not a media centric site like images library, it’s okay to no-index media files. Choose whether your site is multiple authors site or not. 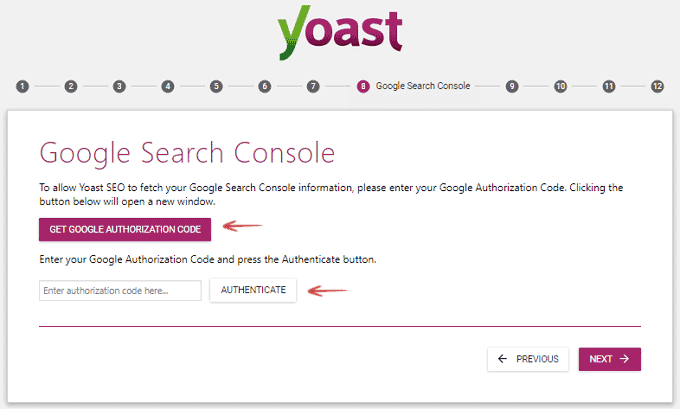 Here you can connect your Google Search Console account with Yoast SEO to track crawl issues of your site. 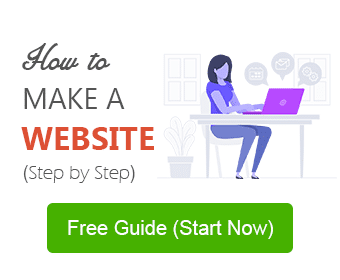 And you need to authenticate to connect Yoast SEO with Google Search Console. Here you can enter your site title name along with punch line. On the screen, you can choose title separator which is to be displayed between post/page title and site name. This completes configuration wizard as further options are around Yoast Newsletter subscription and their premium products ads. 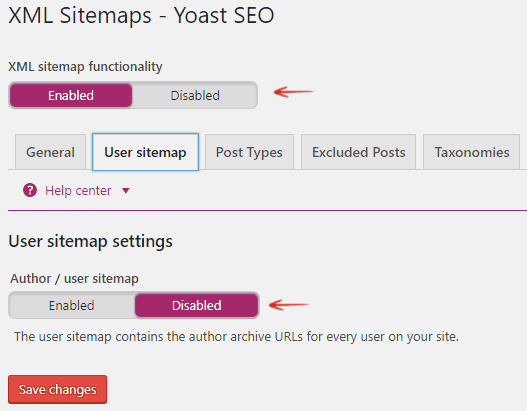 You can use this feature to restore Yoast WordPress SEO plugin settings to default. You may enable all the features here. As these features are necessary for effective SEO tweaks. Readability Analysis – Enable this. As it adds readability tab in the metabox. And also enables content readability related suggestions. Keyword Analysis – Enable this. As it adds keyword tab in the metabox. And also enables keyword related suggestions for content. Advanced Settings Pages – Enable this. These advanced settings include site-wide settings for titles, meta descriptions, social metadata, sitemaps etc. OnPage.org – This enables onpage.org integration. It checks daily whether your site is indexable by search engines. You will be notified, when the site is not indexable. Admin Bar Menu – Admin bar menu is important to access useful links to third party tools. It also indicates new notifications. Cornerstone Content – This allows you mark and filter corner content on your site. In nutshell, Cornerstone Content is the content around which your most of the content is created. In other words, the content which describes the niche of your website. 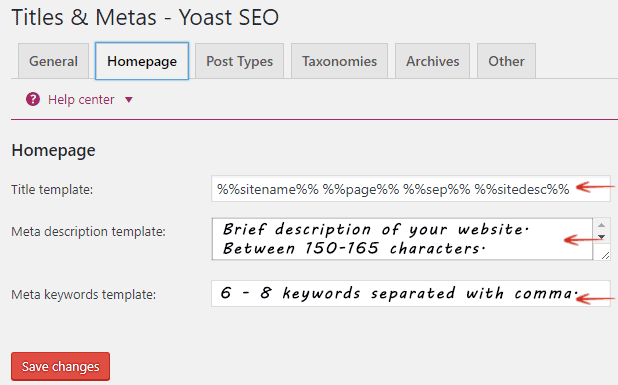 Metabox Insights – Metabox insights appear below the Yoast SEO metabox in WordPress text editor. These insights usually included prominent keywords in the content. 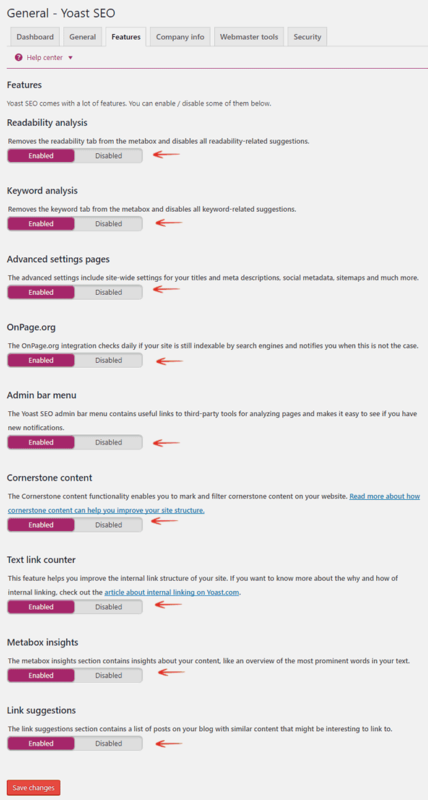 Link Suggestions – It suggests a list of posts of your blog with similar content. As you might be interested to inter-link such similar posts. Website Name­ – Use website name as you want search engines to show in their search results. For example – we use ‘Technumero.com’. Alternate Name – Here you can use an alternate name to your site like we use ‘Technumero’. Company or Person – Choose whether site is for company or person. Company Name & Logo – Enter you company name and upload Company’s logo by pointing to the logo URL. You can use this webmaster tools verification feature to get verify your site with different webmaster tools. If your site is already verified for these webmaster tools, you can ignore this. Otherwise create the account on different Webmaster Tools for your website. And enter verification code of these webmaster services in their respective box in Yoast Webmaster Verification tools. As for now WordPress SEO Yoast plugin supports webmaster tools verification for services like Bing, Google, and Yandex etc. Don’t enable this, if you have multiple author WordPress site and you don’t trust all the authors. By default, some options (like noindex posts, change the canonical) are accessible only to administrators. This option enables these features for all the users. Force Rewrite Title – Not recommended to enable. As enabling this will auto detect and force rewrite titles in your website. Title Separator – Although there is a choice to have a separator from several available on the list. But I insist on choosing the one you think may ever be used by user in search keywords. Hence, my favorite is dash (-). Another angle of choosing a separator is, to have one which gives your title a unique look among other search results. For this stand point (•), (*) or (⋆) are good. For your better understanding, I am using this Google search results screenshot. By seeing screenshot, you may have a clear idea that how different parameters appear in search results, likewise you can set them in your plugin settings. 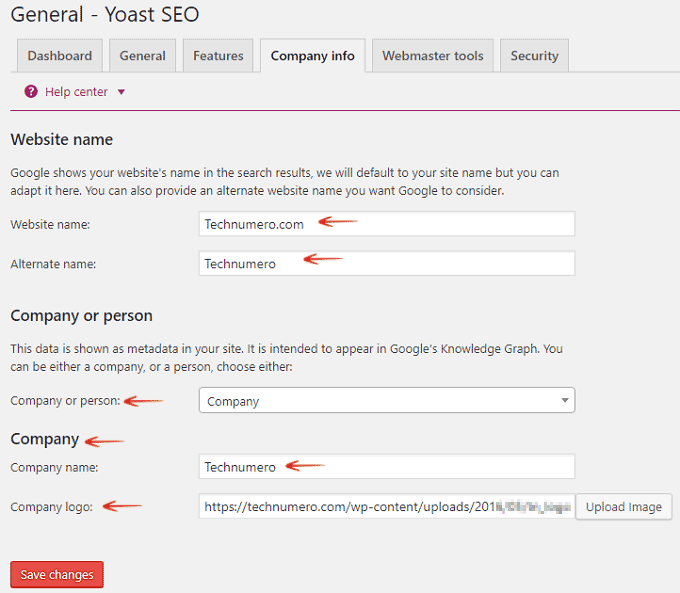 Here I want to clear one more thing, wherever in the Yoast WordPress SEO plugin settings you’ll see word “Template” that means you can assign a predefined value to that setting field. And the plugin will use that predefined value if you do not assign any value to the individual setting field at the time of creation of new post, page, or any other content type. However, the values entered at the time of creating individual content will override the temple values for that individual content entry. But you can enter your own text here. Title is marked with red color in the above screenshot. It should not be more than 70 characters. It can be your site name with description. For example – Music Store – Free Music, Online Music Store, etc. Meta description template – Meta description is marked with orange color in the above screenshot. It should be brief description of your website. As most search engines (including Google) support limited number of characters for this. So you should try to limit it up to 165 characters. Meta keywords template – 6 or 8 keywords separated with comma. Here you may enter most popular keywords which you are intended to use throughout the content on your website. 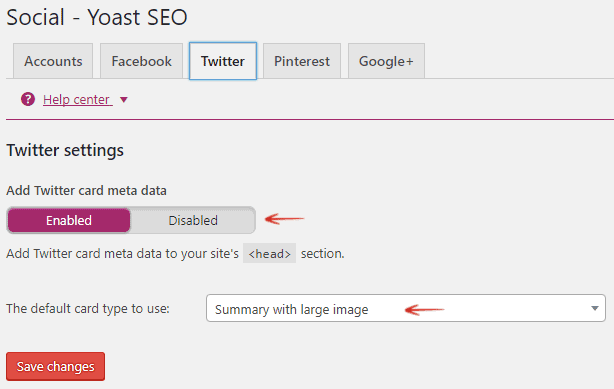 In this section, you can tune SEO settings of different content formats (like Posts, Pages, and Media etc.) of your website. As there are similar setting fields for each type of content. So I am not going to repeat same setting fields for each content type. %%title%% %%page%% %%sep%% %%sitename%% which is absolutely good. If you really want to change it, you can use only: %%title%% may be. If title template is something else, you may replace that with one of above template. Meta description template – By default it is empty. As leaving it empty give you freedom to enter Meta description at the time of creating individual content type (post, page etc.). Meta keywords template – Leave it empty. As you can set it in individual entry (post, page etc.). Because you it is good practice to use precise Meta keywords for each content type. Meta Robots – (index/noindex) Keep it to index in most cases. You can use noindex to prevent indexing of some specific content type. Date in Snippet Preview – I don’t to prefer to show date in snippet preview. The news websites may enable this feature as dates are important aspect for news updates. Add Custom fields to page analysis – Here you can custom fields to page analysis. In taxonomies tab, you will find settings for website’s internal links (like Categories, Tags, and Format etc.) Just like above Post Types setting here is also same setting fields for each type of internal link taxonomies as below. If it is something other than the default template, then replace that with one of the above template. Meta description template – Leave it empty. Or in some cased you can use: %%excerpt%% as I explained above in Meta description template for posts. Meta keywords template – Leave it empty for the same reason explained in posts Meta keywords template. Meta Robots – If your site is quite new and don’t have sufficient content, then you may get indexed your internal links like (categories, tags etc.). Otherwise, you may choose to noindex them. 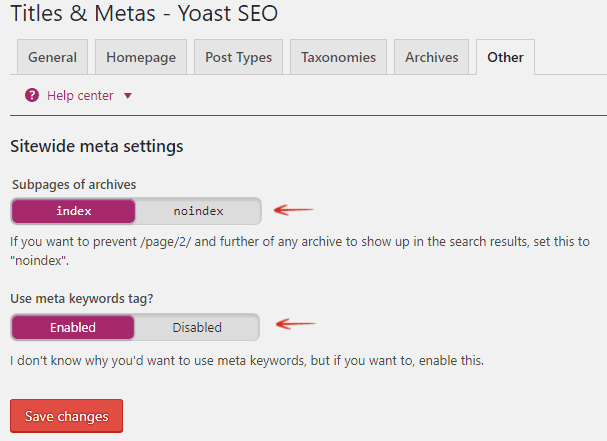 Yoast SEO Meta Box – Keep it to Show. Format-based Archives – Keep it Enabled. These templates are good to go unless you have really better idea to modify them. If these templates look different, replace them with one of the above corresponding templates. Meta description template – You can use %%excerpt%% or leave it empty. As you can set it in individual entry (post, page etc.). Meta keywords template – You can use: %%focuskw%% or leave it empty. As you can set it in the individual entry (post, page etc.). Meta Robots – (index/noindex). Keep it to index as if you want author archive to be indexed by search engines. or you can make your own by changing the order of keywords between %%_%%. I don’t think much changes are required. However, you can use combination of keywords between %% and %% to make your own. Subpages of archives – Keep it to index until you have sufficient content on your website. If you noindex this, search engines will not index subpages of your website (for example – www.yourdomain.com/page/2). Use meta keywords tag? – I prefer to use to meta keywords. Although some SEO claim that use of meta keywords is an outdated method for SEO. Contrary to that, all good WordPress SEO plugins offer the option to use meta keywords. So enable it, it won’t harm your SEO. Here you can add Social Media profiles (Facebook Page, Twitter handle, Instagram, LinkedIn, MySpace, Pinterest, YouTube, and Google Plus profile) of your website. Add Open Graph meta data – Enable it. It helps to get author profile link in Facebook link share preview. Frontpage settings: This title, description and image is used in the Open Graph meta tags for the front page of your site. Image URL – Locate and upload an image of your brand may the logo of your site. Description – Here you can copy home page Meta description. Default Image URL – This image will appear with the post/page being shared does not contain any images. So you choose your brand/logo image here. Facebook Insights and Admins – You can access Facebook Insights of your site using a Facebook admin profile or using a Facebook app of your website. Add Twitter card meta data – Enable it. The default card type to use – We use “Summery with large image” in place of “Summary”. Because content with images is always more eye-catchy. Like Facebook, Pinterest also use Open Graph Metadata. 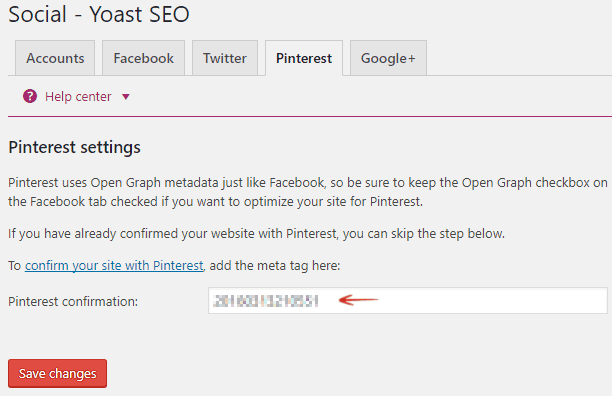 To make sure your site to be optimise for Pinterest, don’t forget to enable Open Graph meta data in Facebook tab. Pinterest confirmation– You have not already confirmed your site with Pinterest then you can enter meta tag here. Settings for Google Publisher Page – Add your website’s Google Plus page URL. The XML sitemaps are extremely important for effective SEO. 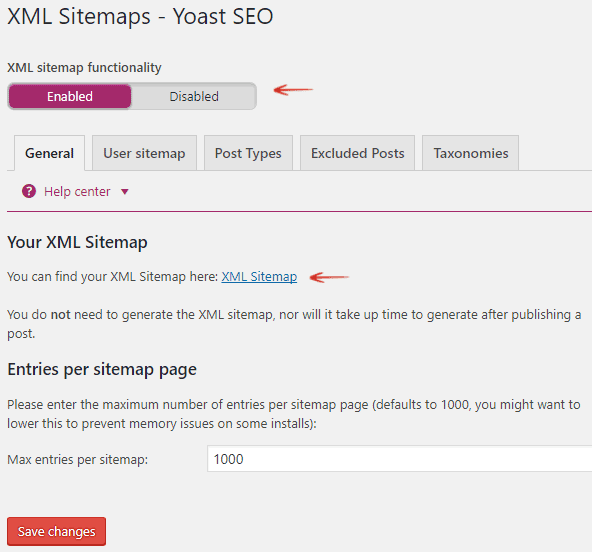 XML Sitemap functionality – Enable XML sitemap functionality. If you want your site authors URLs to be submitted to sitemap then you may enable this. As of now, we have disabled it. You may include Post, Pages, and Media in sitemap. However, as of now we have excluded Media from sitemap. 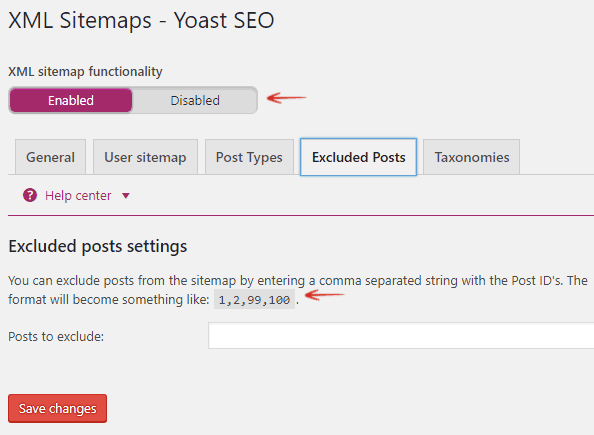 You can exclude individual posts from sitemap by entering post id’s separated by comma like 1,2,99,100. 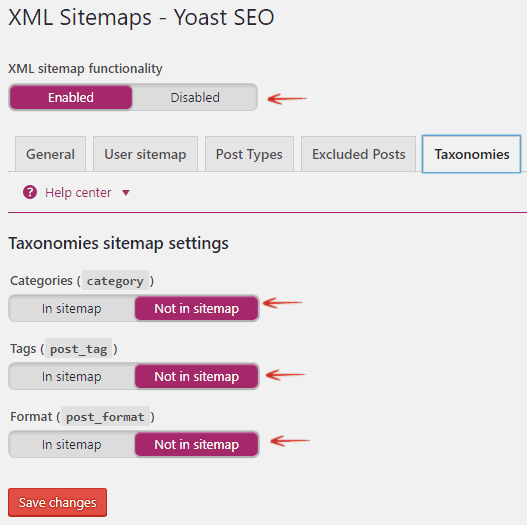 Here you choose which taxonomy you want to be included in the sitemap. 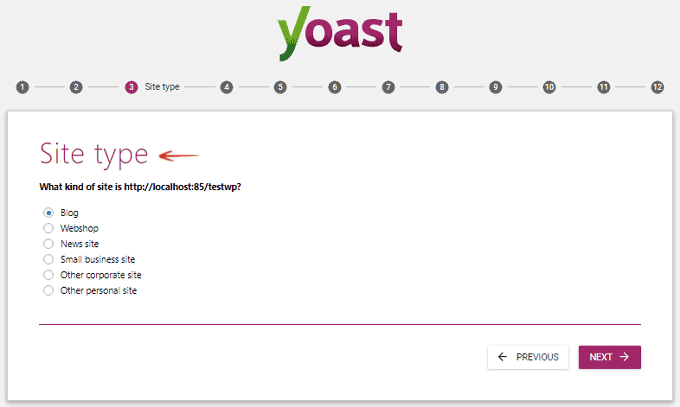 You can refer to Yoast WordPress SEO plugin page to configure it. Strip the category base (usually /category/) from the category URL – Keep it. Redirect attachment URLs to parent post URL: Enable it by keeping it to Redirect. This will help you get more visitors by redirecting them to parent posts from attachment URLs. Stop words in slug – Remove. So that you can avoid stop words in slug/URLs. However, it’s your discretion to decide in which cases you wish to keep the stop words in the slug. 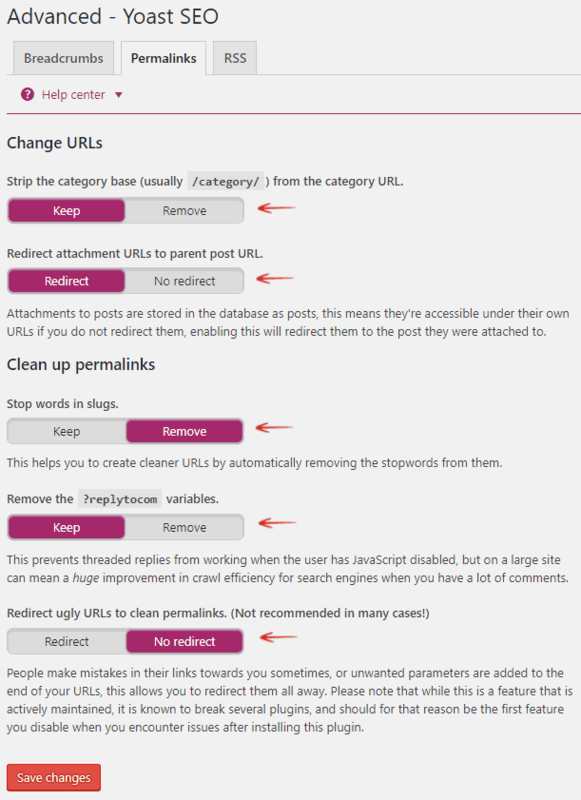 Redirect ugly URLS to clean permalinks­ – Keep it to NO Redirect unless you are not sure to keep it to redirect. 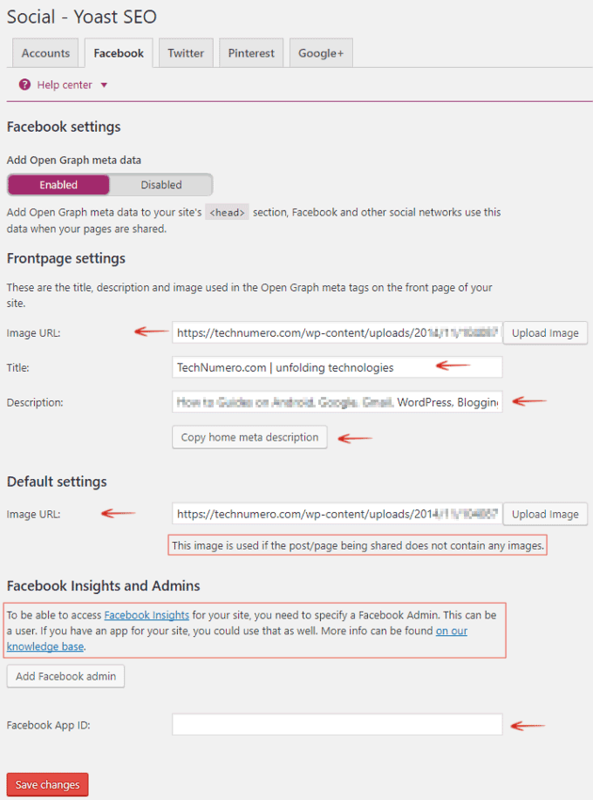 This feature is quite useful and will automatically add content to RSS feeds of your website. 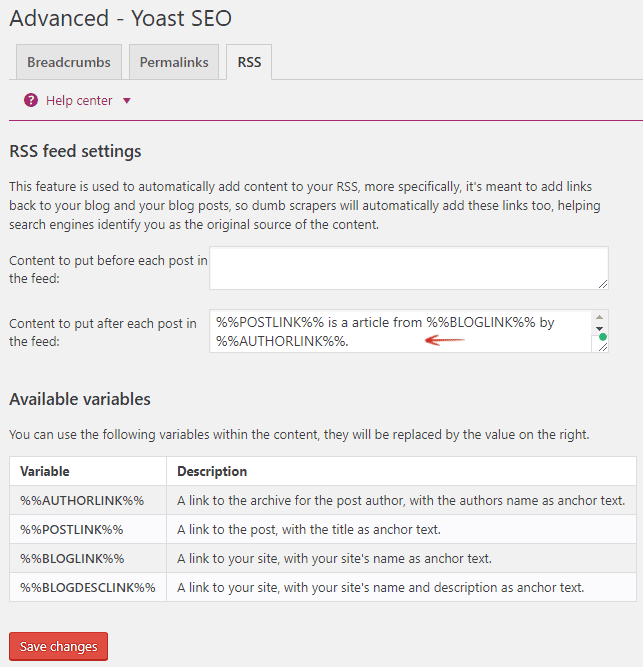 You can use any specific content/blog links before and/or after each post in the RSS feed. You can use HTML tags and below given variables to add specific content or links. It also helps search engines to identify you as the original source of the content. Bulk editor – This feature allows you to bulk edit SEO Title and Meta Description of posts, pages, media etc. File editor­ – Here you can enable, create & edit Robots.txt and .htaccess file of your WordPress website. I highly recommend to setup and optimize Robots.txt and .htaccess file for your WordPress website. They are necessary for website loading speed, security, and indexing control etc. of your content. Import and Export – Here you can import and export SEO settings within WordPress SEO by Yoast or from other WordPress SEO plugins like Import from All-in-One SEO, WooThemes SEO framework, HeadSpace2, OLD All-in-One SEO etc. Here you can connect Google Search Console of your site to retrieve crawl issues. 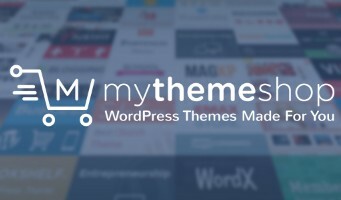 Here are links to some premium extensions and other products by Yoast. If you are using Glue for Yoast SEO & AMP plugin for Accelerated mobile pages in WordPress. 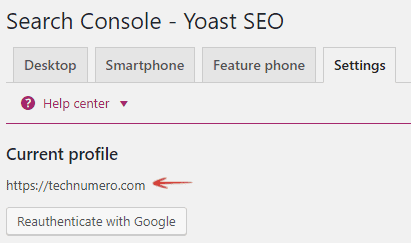 Then, check out this detailed guide how to tweak Glue for Yoast SEO & AMP. It helps you manage redirects through the site. In addition to that, it also saves your time by creating a new redirect every time you change ULR of your internal links. However, you can manage all the current redirects from Redirects main tab. General redirect type is 301 Move Permanently but you can change that. By default, redirect method is PHP which works well, but you can switch Server level redirect as well. Hope you find this post useful. I tried to cover most of the things to make it complete and simple. 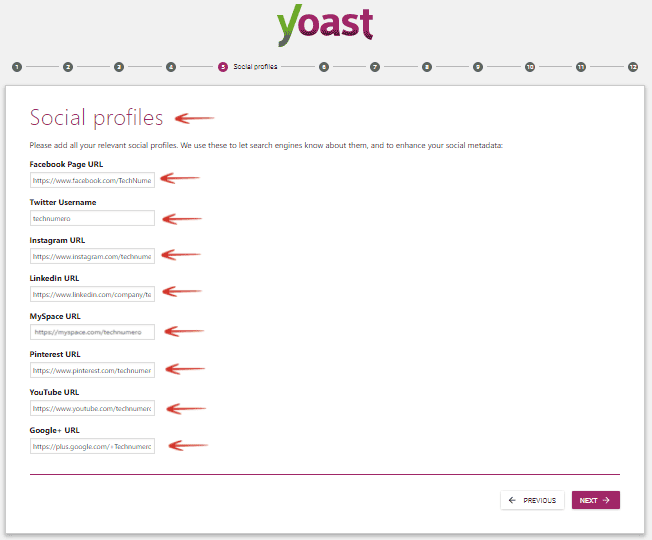 However, if you are facing problems with any specific setting for Yoast WordPress SEO Plugin, feel free to ask me. I’ll be happy to help. 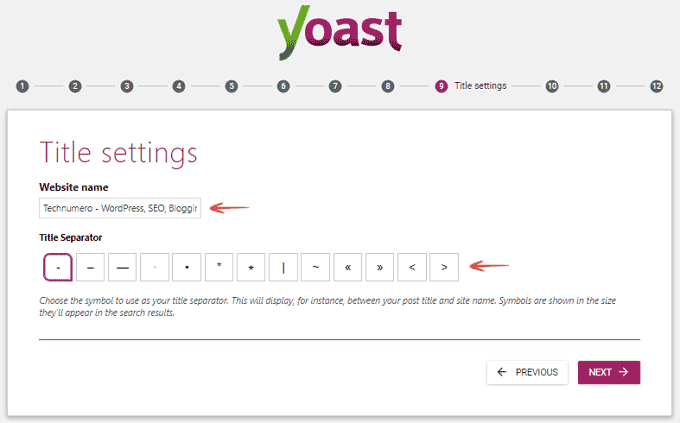 You also share, optimum settings you are using for Yoast WordPress SEO plugin. Some of what you suggest to fill-in does not work for eg. Please do go through and suggest what is to be done. 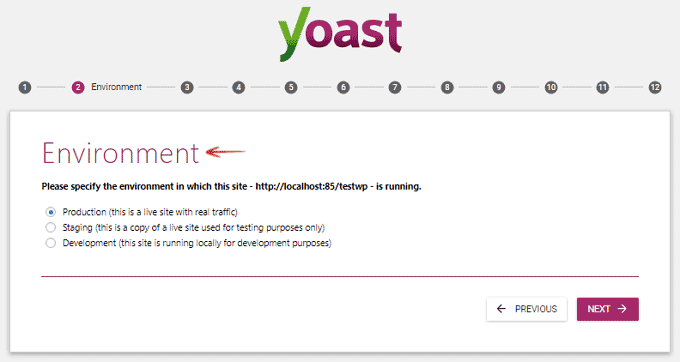 This is the first article I read about Yoast Plugin Optimization. I will use your tips. Thank you. I let you know if it helps to improve my ranking. Glad that you find this post useful. Wanna thank for your nice response. 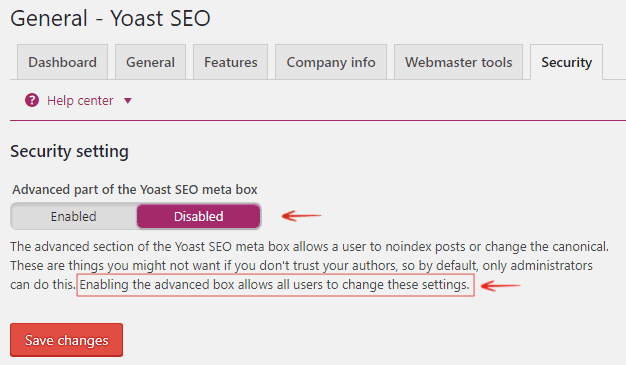 anyway, please update the post Using the Latest Yoast SEO Plugins. Thanks for dropping by. I will surely update ASAP. 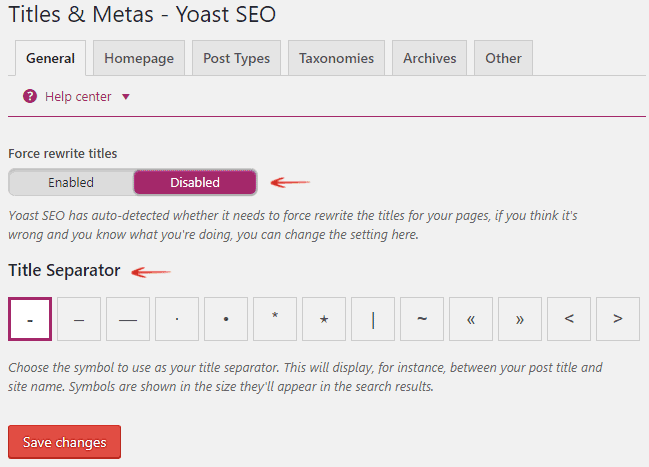 I am using the latest YOAST as on today and under the SEO>Social>Facebook Tab, the option to add Frontpage settings Title, Description and Image used in the Open Graph meta tags for the front page is no more available. I dont want to use another plugin. 3. Uninstall the plugin and install it afresh. 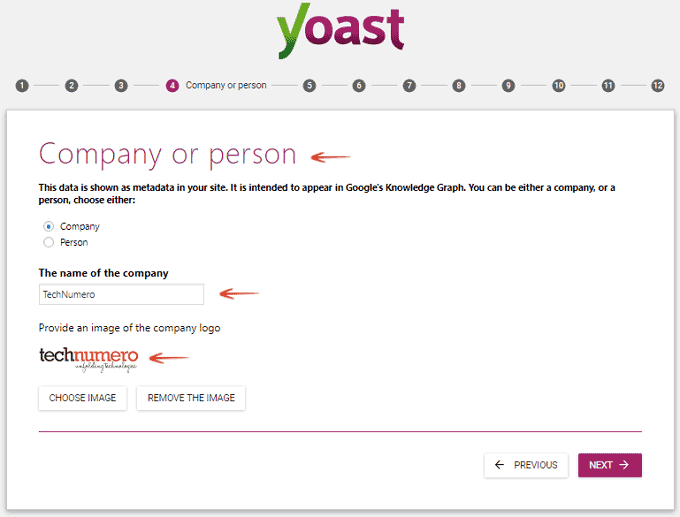 Nice breakdown on how to use use Yoast SEO! If Yoast wasn’t available, what would other plugin would you use for seo?